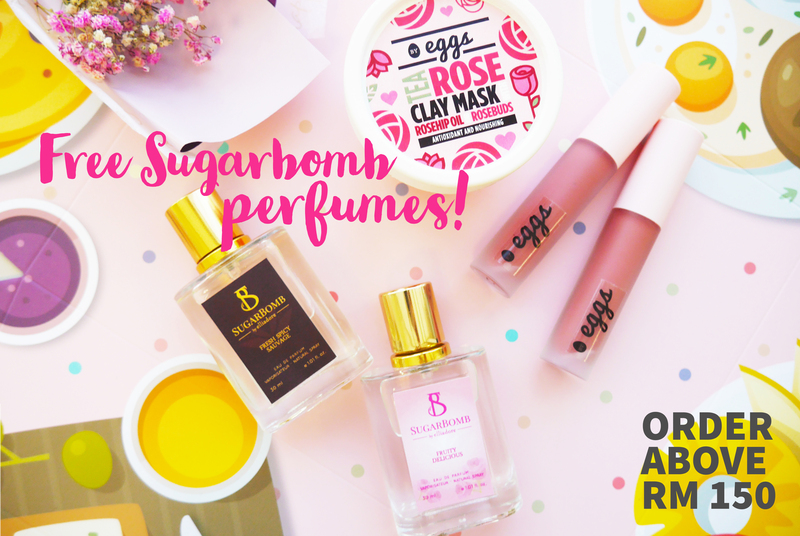 We're collaborating with Sugarbomb perfumes this Valentine's! Order above RM 150 to get a free set of 2 x 30ml perfumes (For Him and For Her). Fragrance for him would be 'Fresh Spicy Sauvage' a rich, bitter masculine scent with spicy notes. Fragrance for her would be 'Fruity Delicious' - true to its name, it is a fresh fruity sweet scent, perfect for the everyday lady. Check out @sugarbombhq for more luxe perfumes.